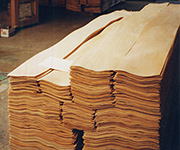 We have been manufacturing wooden products since 1919. 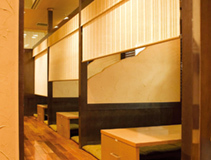 We have various colored woven woods so as to be math for both Japanese style and Western style. This products make your environment more BEAUTIFUL and NATURAL. Woven Woods has moisturizing performance due to their low material. Their durability to mold is better than bamboo. 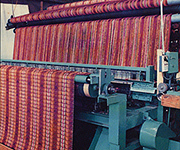 Woven Woods is more enduring than common-fabric’s roll blind, as a result it is economical products. We adopt aqueous coating for this western style colour version. Also we got . The raw material of the products are natural thin woods which are strict selected, and we woven them carefully by using loom. Collaboration among colored woods, and width of the materials, and warp yarn produce large variety of design. Our woven woods provide you excellent life style.